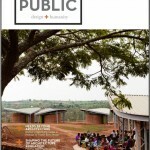 Construction Archives - ConsciousBuild, Inc.ConsciousBuild, Inc. The Architectural 3D Printing Revolution! Believe it or not, 3D printing has been around since 1984 when inventor Chuck Hull built the world’s first working model. However, it took until the start of the 21st century for this technology to truly take off. Latest estimates from Wohlers Associates states that the market for 3D printing in 2012 was worth $2.2 Billion worldwide, which was a 29% increase from the year prior. When compared to traditional machining techniques that rely on subtraction methods of removing material by cutting and drilling, 3D printing has an advantage of using an additive methods by printing virtually any shape. Although the most common materials used to print are thermoplastics, some printers can also print edible materials, rubber, clay, porcelain, titanium, aluminium, stainless steel, paper, and photopolymer. Currently, 3D printing is being implemented in industries ranging from architecture & construction, aerospace & military, fashion, and more. For the past few weeks thousands of people in Amsterdam have been visiting the site of what is being called the “World’s First 3D Printed House”. Known as the 3D Printed Canal House, this site is an exhibition for 3D Printing Architecture. The innovative company behind this project is the Dutch firm DUS Architects. DUS Architects specializes in Public Architecture that consciously influences our daily life. There is nothing conventional about the construction of this house! The entire design of this house is thoroughly modeled using state of the art computer software. Afterwards, each room assembly is printed on site separately, and put together like giant Lego pieces. The material being used for this house is a biological plastic containing 75% plant oil and reinforced with microfibers. The building assemblies are being printed in a honeycomb lattice shape that acts as a structural element, and is later filled with lightweight concrete for insulation and additional strength. The most fascinating aspect of this type of construction is that the ornamentation, exterior facade, structure, and inner facade are all printed as one solid piece. This is definitely one of the most optimal forms of systems integration. In this wall assembly you will find construction connections, cables, pipes, wiring, and more. The result is a seamless and streamlined look. Enjoy this video for more information on the 3D Print Canal House, and if you’re in the area anytime soon tickets are only €2,50! As costs of 3D printing are dropping every year the possibilities with this technology are endless. The goal for many of the 3D printer manufacturers is for each household to someday own a domestic 3D printer. This will enable the general public to 3D print common household items from an open source database. For example, if you run out of forks for a dinner party there is no need to drive to the store, because you can print your own in minutes. I am not sure when this will become a reality, but it sure is exciting to see projects like the house in Amsterdam being built. What are your thoughts on the future of 3D printing? Send us your ideas in the comments below! California’s Prize-fighter in Solar Electric Generation Opens! You come home from a long day and with the flick of a switch your lights turn on. You open your refrigerator doors and there is a nice variety of cold foods and beverages waiting for you, glamorized by the incandescent light bulb that beautifully highlights them. After you have gotten your drink and ate dinner you can relax on that couch and watch your favorite show on your big screen high-definition LCD TV. We are certainly blessed with the ample amount of energy we have available to us here in the United States. For those of us living in California, here are the different types of electricity we produce (highest to lowest): Natural gas, renewables, nuclear, hydroelectric, and the almost non-existent coal. Today I would like to talk about our state’s latest renewable energy power plant, The Ivanpah Solar Electric Generating System. Located in Ivanpah Dry Lake Bed on the edge of the California-Nevada border, you might see this site on your next road trip to Las Vegas. This facility just opened yesterday and will provide up to 377 gross megawatts of clean energy. Unlike other solar electric farms that use photovoltaics (solar panels), Ivanpah is a solar thermal power plant. They use thousands of movable mirrors, called heliostats, that direct concentrated beams of sunlight to a power tower, which in turn produces the electricity using the large amounts of heat that is captured. Although this project cost $2.2 Billion, more than half of the funding was provided by the US Department of Energy as a loan guarantee. The owners of this project are NRG Energy, BrightSource Energy, and Google Inc. BrightSource currently has contracts to sell 2/3 of the energy to PG&E and the rest to Southern California Edison. -The electricity generated by all three plants at the Ivanpah solar complex is enough to serve more than 140,000 homes in California. -The Ivanpah project has received a $1.6 billion loan guarantee by the US Department of Energy to help fund this project. The solar complex nearly doubles the amount of commercial solar thermal electricity produced in the U.S. today. -More than 13.5 million tons of carbon dioxide emissions will be avoided over the 30-year life cycle of the plant, equivalent to taking 2.1 million cars off the road. This solar complex also cuts major air pollutants by 85% compared to new natural gas-fired power plants. 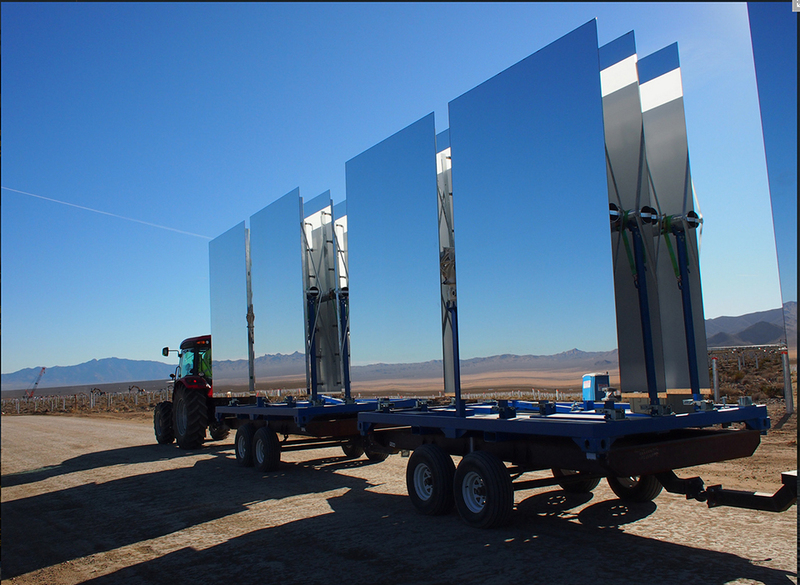 -BrightSource’s LPT solar thermal systems being deployed at Ivanpah use a air-cooling system. This dry-cooling system allows us to reduce water usage by more than 90% over competing solar thermal technologies using conventional wet cooling systems. -The Ivanpah project will employ 170,000 low-impact heliostats. The entire Ivanpah project features an industry-leading low-impact design, resulting in maximum land-use efficiency. The heliostat technology places individual mirrors onto metal poles that are driven into the ground, which allows vegetation to coexist underneath and around our mirrors; reduces the need for extensive land grading; and uses far fewer concrete pads than other technologies. The project is also thoughtfully sited near existing roads and transmission lines and in an area where human activity has already left its mark. As most of us were waking up from our New Years Eve parties, the California Building Code was up bright and early ready for its new changes. As of January 1st, 2014, we have to follow the 2013 Edition of California Building Standards Codes. Since the code is issued on a triennial basis, everyone was using the 2010 California Building Code before the new changes. The new code updates are slightly more stringent in order to be on track for the major goal of being zero tnt energy by the year 2020 for residential and 2030 for all commercial. 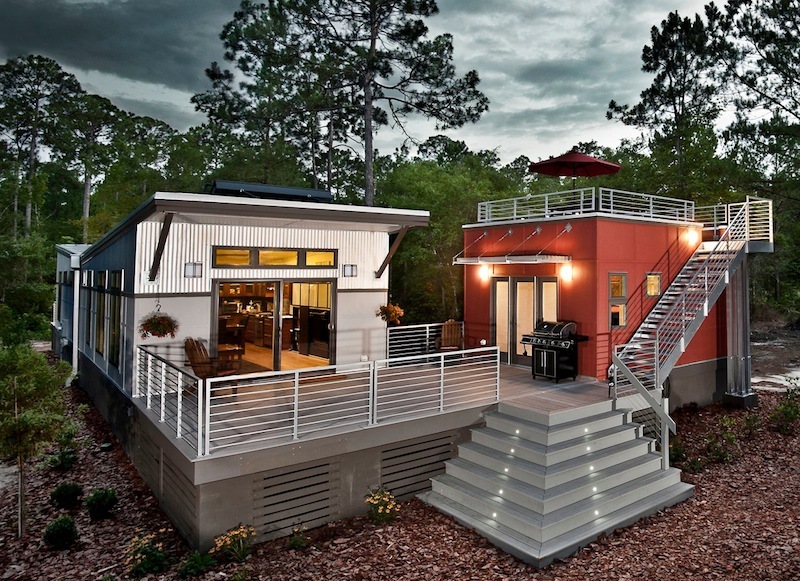 A Zero Net Energy building produces as much energy as it consumes in one year. This can easily be achieved by designing a building to the highest energy efficiency standards and then supplementing it with energy production on site (solar panels, wind turbines, hydro-electric, etc.). As difficult and challenging building codes may be, they are crucial to the safety and well-being of the general public. Imagine a world where on a daily basis, you were uncertain if the ceiling was going to fall down, or if the stairs would collapse. Building codes provide everyone with a safe and level playing field that protects all building end users. This is why architects are so valuable in an ever changing world of new technologies, changing building codes, and an evolving environment. Architects, engineers, builders, and the like are at the forefront of these changes. We are committed to enhance the built environment around us, and to make our communities a better place to live in. Lastly, I would like to end this post by introducing you to the Architecture 2030 Challenge. The 2030 challenge is like a pact that the industry’s leading professionals are making in order to reduce the world’s greenhouse gas emissions. Reducing our emissions is the key to addressing our planet’s climate change. By the year 2030, our goal is to be carbon-neutral by emitting zero fossil fuel greenhouse gases to operate. Here is a good example of a Net Zero Energy project in Georgia. To learn more, click the link below for the full article. With a new year comes new things! ConsciousBuild, Inc. has been busy building up our Development Division, and we are not only welcoming a new principal in Adam Melhuse, but we are also welcoming a new development in Atascadero, California. We will touch upon the new development in a later Blog, so for now let’s introduce another part to our Team at ConsciousBuild! ConsciousBuild, Inc. is proud to welcome team member Brandon Silva of BC Silva Construction. Brandon brings his keen eye, reliability, and 15 years of remodeling experience to complete your next environmentally responsible remodel. Getting the Design and Construction Team of a Project involved at the very start of your next project is one of our main objectives at ConsciousBuild, Inc. Using this collaborative project delivery model is a strategy we employ to significantly reduce design-build costs. Brandon has worked extensively on the Central Coast including numerous repeat customers. With 15 years of remodeling experience Brandon is aware of the value of patience and understanding that is necessary to make your dream a reality. He is a great listener and will help to ensure the team makes any project truly yours. Brandon will provide you with a free estimate that often times comes as close to the end price as possible in this ever changing market. 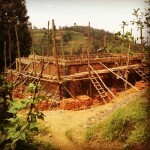 And with ConsciousBuild being a design-build team, any necessary changes will be made collaboratively. Creating a strong network of designers and builders is vital to the success of creating an environmentally, economically, and socially responsible building. We are thrilled to collaborate with BC Silva Construction and to partake in their expansion! ConsciousBuild will be bringing project management, architectural design, interior design, and “green building” consulting to BC Silva Construction’s services – as BC Silva will bring more Construction Management to our team! As a Construction Manager, Brandon will oversee all subcontractors on the site, ensuring punctual and consistent high quality work is performed at all times. Punctual, consistent high quality work and a pleasure to work with. Conscientious, funny, intelligent, and a pleasure to work with. Our team has already begun to bring renovation and remodel project’s to the Central Coast, so get in touch with us today to learn how ConsciousBuild can help redefine your home for your life! 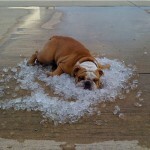 How To Cool Your Home For FREE!